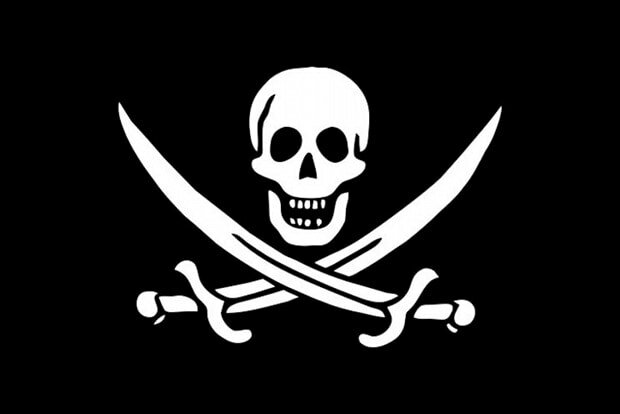 Once upon a time, international law dictated that pirates caught in the act be hanged at once from the ship&apos;s yard arm. Yesterday, a Somali man who pleaded guilty to piracy in the 2008 capture of the Danish ship CEC Future got a prison sentence of 25 years after a federal trial in Washington, D.C. The pirate, Jama Idle Ibrahim, was one of 25 guys who boarded the CEC Future and held the ship and its crew at gunpoint for ransom. According to the FBI, he got the five-year maximum sentence for piracy and another 20 years for conspiracy to use a firearm in a crime of violence. Compared to the olden days, that&apos;s pretty light. Of course, in the olden days they didn&apos;t care whether you hurt anyone or what kind of damage you actually did. If you were a pirate, you could be executed, and you were. "Severe as the penalty may now seem (albeit necessary, since captured pirates were too dangerous to keep aboard on lengthy sea voyages), it succeeded in mostly eliminating piracy by the late 19th century—a civilizational achievement no less great than the elimination of smallpox a century later." He went on to lament the deterioration of standards of justice along which to prosecute pirates: "In pursuit of a better form of justice—chiefly defined nowadays as keeping a clear conscience—we get (at best) a Kenyan jail." Except in this case we got U.S. federal prison and a pretty decent chunk of time. All things considered, this seems like a relatively fair conclusion to a murky criminal question that really has no answer internationally. It&apos;s a hell of a lot better than executing guys on the spot.